For all of you gamers out there that are thinking of pre-ordering Dead Island Riptide soon, there are some tempting benefits for you. Two DLC packs have been revealed, and you can have access to them as soon as you get the game. Survivor pack is the name of the first DLC, and players will gain access to some exclusive bonus in-game features with it. A Blade that can be hooked up to fuel tanks is included. As well as a secret shop on the island where you will be able to purchase weapons and gear at a discounted rate. The Survivor pack also includes an XP and stats booster, and a digital type map to keep track of all of your items. Fashion Victim is the name of the second slice of downloadable content you will be treated to, and here is what you’ll be getting with it. The fashionista will receive new skins! That is it for the second DLC and it’s not much to talk about we know. The Survivor pack is the one that players should be more excited about. Both of the DLC packs will be out after the game has officially been released on April 23rd this year. The Fasion Victim pack will cost around £1 or $1.99, and the survivor pack will be priced at £2.50 or $4.99. 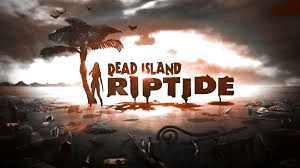 Dead Island Riptide will be available on the Xbox 360, PlayStation 3 and Windows PC.